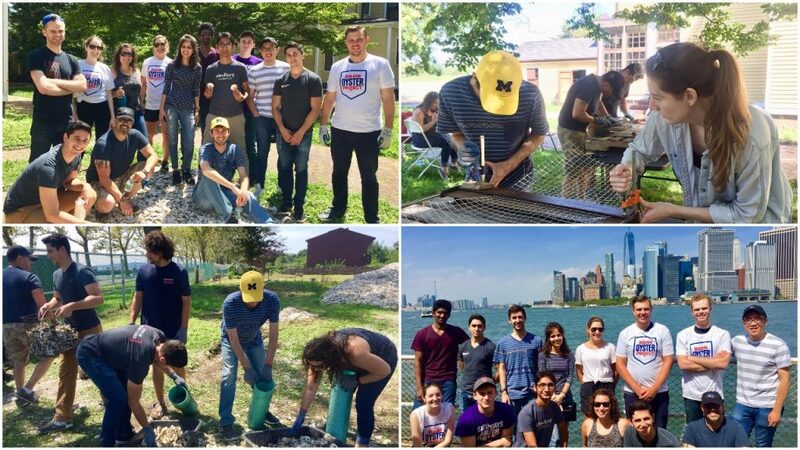 On August 17, members of the SD team ventured to Governor’s Island in NYC to give back to their community for SD Service Day and spent the day with the Billion Oyster Project. If you’re not familiar with this organization here is a little snippet. The Billion Oyster Project is an initiative of the New York Harbor Foundation and is an ecosystem restoration and education project. It’s main objective? To restore one billion live oysters to New York Harbor and engage school children through restoration based STEM education programs. If you’ve been to NYC then you know how dirty and murky the New York Harbor is and this was a great way to help our ecosystem and clean up the city we live in. The SD team thoroughly enjoyed their day away from the office giving back. They had the opportunity to learn more about oysters, their habitat, how they grow, and how their environment affects the way they taste. Not only did they get to learn about oysters but they got involved in the actual restoration process too. They had the opportunity to build the cages that the oysters grow and flourish in and bag up used oyster shells that will help restore the reefs. Overall the SD Service Day was a success and they got to end the day enjoying some oysters (ironic we know) by the river! If you’re interested in getting involved with the Billion Oyster Project you can contact them here.